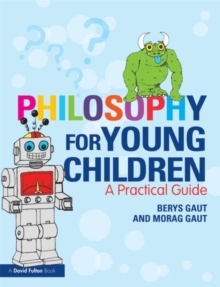 With this book, any teacher can start teaching philosophy to children today!Co-written by a professor of philosophy and a practising primary school teacher, Philosophy for Young Children is a concise, practical guide for teachers. It contains detailed session plans for 36 philosophical enquiries - enough for a year's work - that have all been successfully tried, tested and enjoyed with young children from the age of three upwards. The enquiries explore a range of stimulating philosophical questions about fairness, the environment, friendship, inclusion, sharing, right and wrong, manners, beauty, pictures, the emotions, dreaming and reality. All the stories, drawings and photographs that you'll need to carry out the enquiries are provided and can be used with your children directly from the book. Each step-by step enquiry includes:The philosophical topic and the aim of the enquiry The stimuli you'll need Questions to ask the childrenPossible answers to help move the discussion forward Ideas to help you summarise and extend the enquiry.